The probably most outstanding ancient lake in Europe is the oligotrophic and karstic Lake Ohrid (see Stankovic, 1960). A recent assessment of its fauna and flora confirms that the lake harbours an incredible biodiversity with at least 212 endemic species occurring in this comparably small lake. Preliminary phylogeographical analyses of endemic Lake Ohrid taxa indicate that the vast majority of respective sister taxa occurs in the Balkans and that therefore the most recent common ancestors of Ohrid- and non-Ohrid species likely resided in the region when Lake Ohrid came into existence. 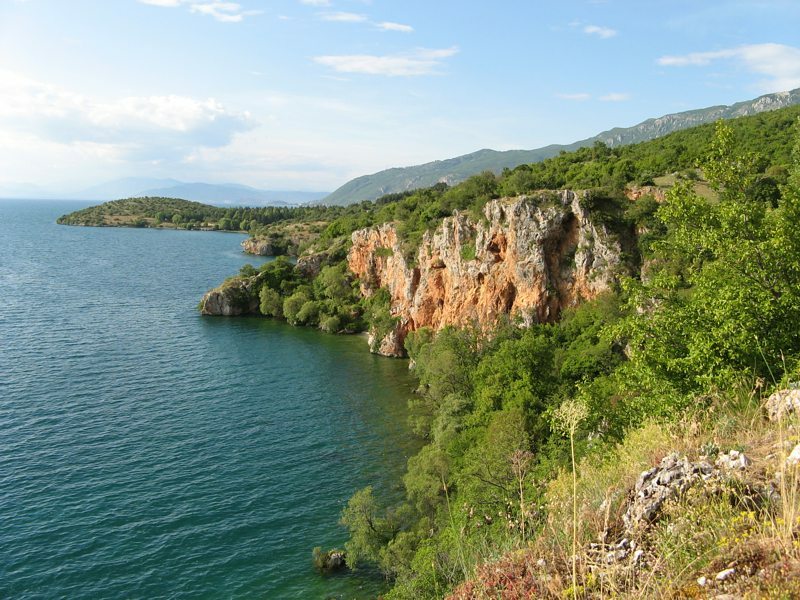 These data also indicate that there is relatively little faunal exchange and overlap between Lake Ohrid and its sister lake, Lake Prespa, despite the fact that the latter lake is a major water supplier for Lake Ohrid. 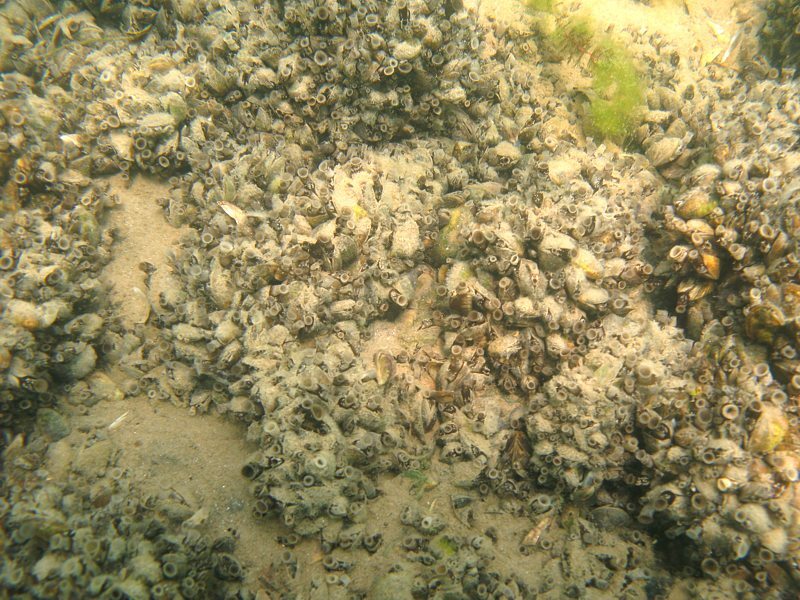 Studies on selected species flocks and scatters, mostly in molluscs, point towards the assumption that only few lineages originally colonized Lake Ohrid from the Balkans and that the majority of endemic species seen today probably started to evolve within the lake during the early Pleistocene. Today, the lake suffers from increasing anthropogenic pressure and a “creeping biodiversity crisis”. Some endemic species presumably have already gone extinct, and there are also indications of invasive species penetrating Lake Ohrid. The comparatively small size of Lake Ohrid and the extremely small range of many endemic species, together with increasing human pressure make its fauna particularly vulnerable (Albrecht & Wilke, 2008). Stankovic, S., 1960: The Balkan Lake Ohrid and its Living World. Monographia Biologicae, Vol. IX. Uitgeverij Dr. W. Junk, Den Haag 357pp. Rocky eastern shore of Lake Ohrid (photograph: C. Albrecht). Dreissena-bed in the littoral of Lake Ohrid (photograph: A. Kubicek). 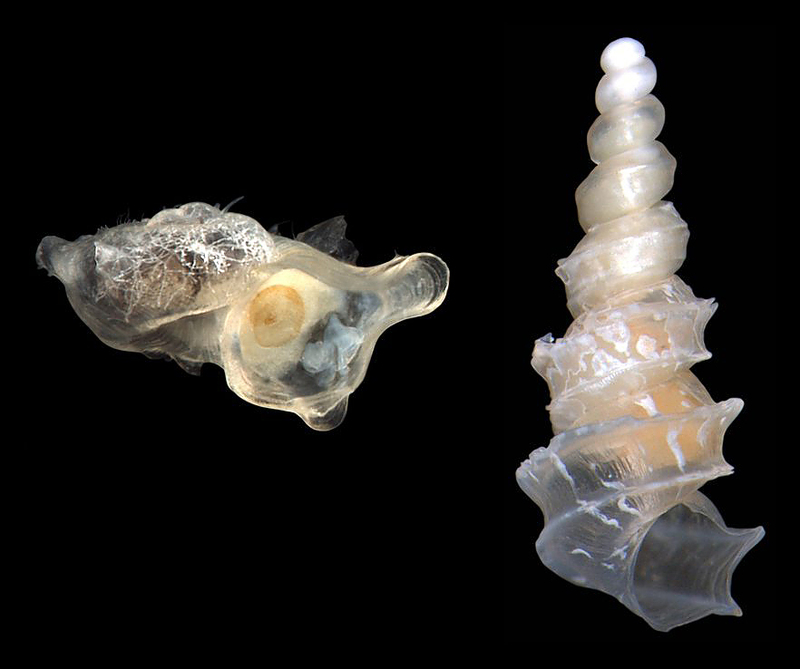 Dolapia ornata (Radoman, 1956) (left) and Macedopyrgula wagneri (Polinski, 1929) (right), two endemic microgastropod species from Lake Ohrid (photographs: T. Hauffe & T. Wilke).